Criminal Defense Attorney: Can Snapchat Be Used Against Your In A Court Case? In a previous blog post, we discussed how social media can affect you in court and how it can actually be used against you in a DUI case. While it is easy to assume that our social media usage is for our eyes only and that it isn’t accessible by law enforcement, this isn’t the case whatsoever. In certain scenarios, your social media usage can be used as strong evidence against you. 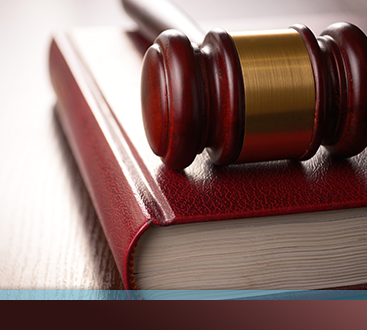 While it cannot get you arrested perse, it can provide valuable information and evidence. Today we’re going to be discussing this topic even further by focusing on a popular little app called Snapchat. This app, which has become increasingly popular in recent years, allows users to send photos, videos, and messages to their followers/friends. Recipients can only view the video or image message for up to 10 seconds before it disappears, and users will be notified if a message has been screenshot by the receiver. The fact that media disappears after 10 seconds may lead users to believe that their Snapchat usage is completely private and inaccessible by anyone. However, this is not at all the case. In fact, the app holds onto meta-data from content sent through Snapchat, and this information can be used in the court. 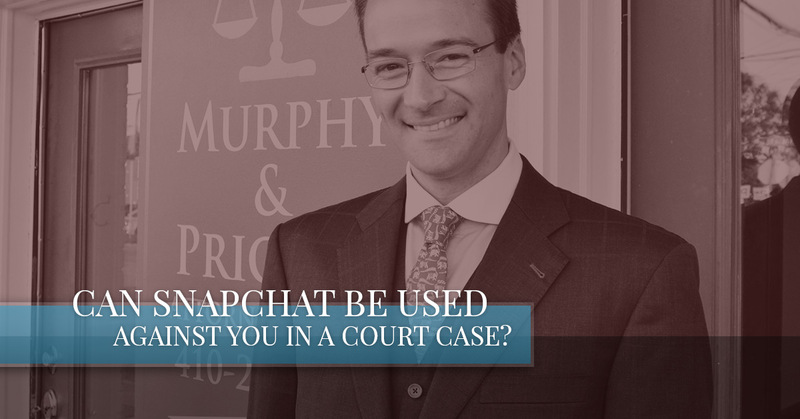 If you have found yourself in a situation where your Snapchat usage is involved in your court case, or you’re worried that it will be, continue reading this blog post. And if you’re looking to hire a DUI or criminal defense attorney, do not hesitate to reach out to the experienced lawyers at Murphy & Price, LLP. To reiterate — social media is subject to be used as evidence in the courtroom, whether that be Facebook, Twitter, Instagram, and yes, Snapchat. While you cannot necessarily be arrested for what you post on your social media account, the content can be used as evidence against you. For example, if you were caught driving a vehicle under the influence of drugs or alcohol, the pictures or content you posted on your social media accounts can provide law enforcement officials with a timeline of events that led up to you getting behind a wheel while intoxicated. And social media can get you in trouble in other legal situations as well, like divorces and other types of criminal cases. In fact, in 2016 Snapchat was used as evidence in a court case that resulted in the sexual assault conviction of two individuals. The assault of an individual was recorded on Snapchat and sent out. One of the recipients of the video screenshot the content and called the police. The video content, which would have disappeared after 10 seconds to the original users, was used as evidence to convict and sentence the two perpetrators. While this scenario is extreme, it goes to show how Snapchat can be used in a lawsuit. A criminal defense attorney or a prosecutor can use images from Snapchat in a case, and that’s why it is critical to be mindful of how Snapchat and other social media platforms are being used because it is not completely private. If you have any further questions regarding the role of social media in a court case, or you found yourself in a legal situation where Snapchat or any other social media is involved, hiring a criminal defense attorney can be of benefit to you. 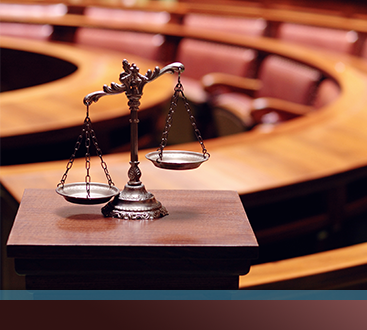 Contact a lawyer at Murphy & Price, LLP today. Your first consultation with us is free.